What about the people who never hear the gospel? This question won’t go away. It troubles us because the fate of those who never hear the gospel is both difficult and emotional. This question touches many people, and taken to its widest extent, involves friends and neighbors who seem utterly resistant to any talk of spiritual matters. This question also strikes at our personal responsibility as Christ followers. And what about the millions who live in places who have no access to the gospel? They don’t have an opportunity to reject the gospel, much less hear it. Would God send someone to hell for not believing in Jesus when that person has never heard of Him? This seems so unfair. How can God judge someone for rejecting Jesus and the gospel which he has never heard? To get at the answer, we must isolate the key issue by asking another question. Would the “heathen” who have never heard the gospel, wherever they live in the world, be better off without anyone ever sharing the good news with them? Getting at the answer requires that we set aside our emotions and our finite thinking and rely on the Scripture. In Romans 1:18-20 Paul provides insight on this issue. In these verses, Paul showed how God views the people of the world, including those who have never heard the gospel. He said that God’s wrath “is revealed from heaven against all ungodliness and unrighteousness” (Rom. 1:18). We are more accustomed to hearing about God’s love, God’s grace, God’s mercy, and God’s glory. The word “wrath” which Paul used described God’s violent, righteous indignation against sin and unrighteousness. God will not tolerate sin. That’s why the cross was necessary — to remove sin from the believer. This points to the crucial fact: “God’s wrath is revealed” (Rom. 1:18) in response to man’s rejection of the truth because he has suppressed the truth through a deliberate, willing choice to turn away from God. Additionally, Paul said that God reveals Himself continually to everyone. God has made Himself plainly known, so that people have no excuse (cf. Rom. 1:19-20). This explains why every culture on earth has some conception of a Supreme Being — however flawed it might be. God placed a longing inside every human heart to cause us to look for Him (cf. Eccl. 3:11). God has made known His eternal power to every person through the magnitude and grandeur of creation. Furthermore, His divine nature can be seen through the variety and design of the world He made. In other words, Paul said that a person does not need the Bible to see and understand these things, nor does he need to go church to figure this out. Clearly, a person does not need the gospel to know that there is a God who is the Supreme Being. This brings us squarely with the key issue: “Are people (especially those who have never heard the gospel) basically innocent or basically guilty before God?” If they are innocent, then Christians do such people a terrible disservice by telling them the gospel which they might reject and then stand guilty before God. However, they are not innocent but guilty because of their sin. 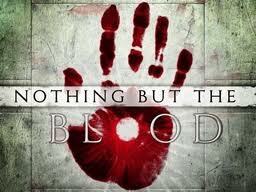 They need the antidote for sin — the blood of Jesus. They need to hear the gospel because people do not go to hell for rejecting Jesus. No, they go to hell because they are sinners. Not believing in Jesus simply seals their fate.